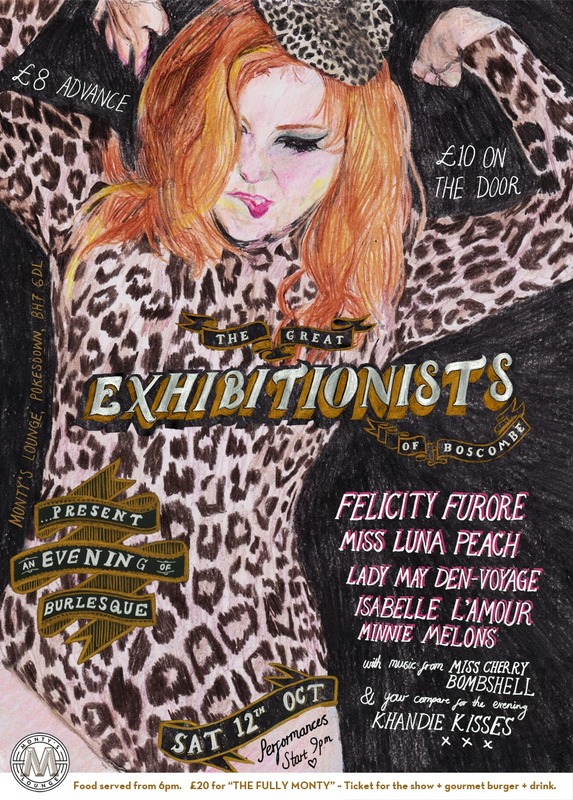 I was asked by a lovely fellow AUB graduate to create a lavish poster for her upcoming burlesque night down Bournemouth way. Entitled The Great Exhibitionists of Boscombe the event is part of The Great Exhibition of Boscombe weekender, in association with Bournemouth Arts by the Sea festival. Featuring quirky story-led burlesque performances such as Felicity Future's Dr. Furore's Laboratory and The Matador by Luna Peach, my first few design ideas didn't really hit the mark. Wanting to suggest burlesque in general rather than depicting an individual act, I inadvertently showcased a more traditional strand of feather-fan burlesque that the event was keen to shake up. Easily solved with the right image of the headliner and a vicious all-nighter, the response to the poster has been great, but I'll always have a soft spot for the faceless anti-venus and other fleshy casualties that I created along the way.